If you’re interested in community as a profession, and you’re looking to build your experience, start an online community. This industry is full of amazing people who trace their roots back to taking initiative, not simply reading and studying, but actually doing. Our guest on today’s show is an example of this. Andy McIlwain wrangles content and community for GoDaddy’s Pro offering aimed at web developers and designers. His work in online community management began with forums and fansites in the late 90’s. In 2011, he jumped to organizing in-person community events with the Toronto WordPress meetup group and WordCamp Toronto. On the content side, Andy has helped small businesses, startups and marketing agencies get their content processes up and running. 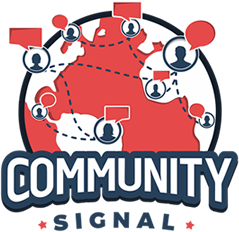 00:04: You are listening to Community Signal, the podcast for online community professionals. Tweet as you listen using #communitysignal. Here’s your host, Patrick O’Keefe. 00:20 Patrick O’Keefe: Hello, this is Community Signal and I appreciate you listening to this episode of the show where we’re talking with Andy McIlwain. Andy wrangles content and community for GoDaddy’s Pro offering aimed at web developers and designers. His work in online community management began with forums and fan sites in the late 90s. In 2011, he jumped to organizing in person community events with the Toronto WordPress Meetup Group and WordCamp Toronto. On the content side, Andy has helped small businesses startups and marketing agencies get there content processes up and running. Andy, welcome to the program. 00:49 Andy McIlwain: Thanks for having me. Happy to be here. 00:51 Patrick O’Keefe: It’s a pleasure, and this episode is being released on September 5th and you celebrate your first year as a “community professional” on September 7th. So congratulations. 01:00 Andy McIlwain: Yes, thanks a lot, I appreciate it. 01:02 Patrick O’Keefe: Now, you have a great mentor in Christopher Carfi who I have known for probably eight years. How has he helped you to grow into your role? 01:09 Andy McIlwain: Oh man, from the beginning Chris has been an amazing mentor because he’s not only given me resources to take what I’ve done on a volunteer and hobbyist basis and convert that into something that’s suitable for a more professional environment, but his leadership method is so nurturing. He’s not the type to come down and micro manage, he’s the type to ask questions and probe and help you find your own right direction. So that’s been absolutely fantastic and I’ve had the pleasure of working along side him as we moved from community to working on content. I can’t imagine working with anyone else at this point. 01:45 Patrick O’Keefe: It’s really excellent that you point out the idea of you had the skills and he helped you transition those skills from managing your own communities, volunteer moderation, volunteer administration to working in an environment such as GoDaddy, a large for-profit company. It’s interesting because it speaks to a topic that comes up on the show from time to time, and maybe you didn’t have it but lot of people have it, imposter syndrome, where we have the skills like you have the skills. If you’ve been managing communities, we’re gonna get into this in a second, but you’ve been managing and involved in community management for a long time, longer than one year, even if you might not have considered yourself a professional. So you have those skills but you’ve never applied them at a company like GoDaddy. So, maybe doubt yourself, maybe you didn’t, but a lot of people come into the space this way, a lot of people have the skills and maybe they have the confidence or maybe they’re unsure of themselves, but it takes maybe a good mentor or maybe a good support group or just in general, education to figure out how to apply those great skills that you already have to a more corporate environment. 02:45 Andy McIlwain: Oh, that’s so true. When I came into this, I was really worried that although I had the volunteer and hobbyist experience, I was worried that that stuff wasn’t relevant, that it wouldn’t carry over. So when we started looking at things like strategy and tactics for how to get a community up and running with GoDaddy I was worried that my instinct was going to be wrong. And thanks to Chris, I realized that my instinct wasn’t wrong, that even though I was jumping from something that I thought is wishy washy side project stuff, it wasn’t wishy washy at all. It was real, it was legitimate, and it was relevant to the type of things that we were trying to do as a company. 03:55 Patrick O’Keefe: It was harder when we started back in 2000 and the late ’90s. 03:58 Andy McIlwain: Oh yeah. 04:00 Patrick O’Keefe: It’s so much easier now. So, I say, “You know what? Pick a topic, pick something you wanna manage a community about and just do it.” Because launching a community with no resources, with little resources, and having to grind and figure out, “Oh, this is how we customize the software. This is how we grow the community. This is how we moderate. This is how I manage a team of people.” It’s such an invaluable leg up for anyone who wants to try to enter this industry. 04:55 Patrick O’Keefe: Yeah, and I know people that teach college courses on community. I would never bash college, I get it. So I’m the oldest of three brothers and we were all homeschooled and I was managing communities when I graduated high school a year early. And so I was like, “I’m good. I don’t really want to go to college. [laughter] I like what I am doing.” I had already started working on my book I think, and it was like I’ve been doing this for a while or I started shortly thereafter, and it was like “I wanna do this.” And thankfully, I had supportive parents who weren’t like, “You have to go to college. You have to do these things.” They were like, “Okay, that’s what you wanna do. We may not understand it, but we see your passion for it and even maybe the potential for it.” My middle brother went to college, he went to University of North Carolina at Chapel Hill, got a degree in Communications. My youngest brother, Trent, just graduated high school and he’s probably gonna go to college. And so they’re taking that path and I love it, but still… There was this anecdote I heard once that applied to the recording industry, the music industry. It was like, you go to these labels, you try to get signed and it’s hard because there’s so many people who wanna deal. But what you should do instead is make music, take it to the club, get hot, and then they come to you. 06:00 Patrick O’Keefe: And I think where that correlates to community professionals is “Hey, if you launch a community and it’s hugely successful, you have the credibility now.” And so, you are a professional who is in demand or at least, you have this credibility that a lot of people don’t have. A lot of people don’t have the credibility of launching a community that had 10,000 members, 50,000 members, 100,000 members, 500,000 contributions, a million, 10 million. A lot of people don’t have that and that’s something that is very attractive, I think, to a lot of people who are hiring for these roles. 06:33 Andy McIlwain: And I think that was something that caught me off guard when I joined GoDaddy and realized that “Hey, there is an actual professional industry out here.” The nation is growing that there are roles for this sort of thing that people are hiring for community management roles. And the fact that it took me so long to realize that this was a real thing, it wasn’t just a voluntary thing, that blew my mind. And now, for example, CMX, I’m super happy to be in that group and to have made connections with people through that group. Because it’s like after spending 10+ years just going in alone with some friends from around the web, now find a whole a bunch of other people doing the same thing and doing it professionally, that’s amazing. 07:31 Patrick O’Keefe: Yeah, I’ve known Brad for a long, long, long time, before he was even involved in WordPress. We met in a forum, the SitePoint Forums, oddly enough, and I’ve been to his house multiple times, I know his family, I’ve met Lucas, their son who is under a year old, about to turn a year old in a couple of months. And actually, we’re going to the Bad Boy Reunion concert in a month, me and his business partner Brian and my girlfriend Kara. So yeah, we are old friends, but yeah, it is funny how it’s a small world. But my point was that this role is perfect for you. You were involved in WordPress meet-ups, WordCamps before you even heard of the job, before you knew it was in community and here comes this role. And they want this WordPress group and they want someone with community and here comes Andy and it’s perfect. 08:50 Patrick O’Keefe: So as we’ve touched on, you may only consider yourself a professional for one year, and maybe that’s true in the sense that you had a job, you’re getting a salary, etcetera. But you’ve actually been involved in community management and moderation for quite a while going back to late ’90s with a focus on gaming forums, and when I asked about your starting community, you said you had to thank one service in particular, ezboard. Tell me why. 09:10 Andy McIlwain: So, ezboard was my gateway into the world of online communities. It was my few different fan forums that I had discovered through ezboard and I mean late ’90s, I’m a kid, it was Digimon, it was Pokemon, it was video games, it was all that sort of stuff. But because ezboard was set-up as a network and it wasn’t just software like phpBB, or UBB, or any of those, the ability to discover other communities through that network was huge and that just sucked me down the rabbit hole. I was volunteering moderating on different forums, getting into the backend, learning CSS and HTML and all these other stuff to customize the forums, and that really just got me hooked on forums in general and that spiraled out into what I did later with the gtaforums.com. 09:52 Patrick O’Keefe: It’s really interesting. The network model kinda drew you in. The idea that they were, ezboard, for those who might not be familiar, was free forum hosting. There was a pay option, but a lot of them were free, most of them were free. Free bulletin board system, forum hosting option. I posted on ezboard, I know ezboard well. I think a lot of people who are around that time definitely know ezboard. I was in baseball simulation leagues for a software called Baseball Mogul. It seemed like I think all of the forums for all of the leagues were on ezboard, like all the forums. And so, I was definitely familiar with ezboard, but that’s the first time I’ve really heard someone talk about or think about the idea that “Okay, they had sort of a discovery engine built in where you could find other communities through this network.” I can relate to someone like yourself who was really passionate and interested in the idea of community and not just participating as a member, but also helping to keep the thing going. 10:41 Andy McIlwain: Exactly, exactly. And one of the things I love about that model and it’s one of the things I really about medium.com. Medium, similar idea where it’s a publishing network that aids discovery. As much as I love WordPress and I love how wordpress.com is a publishing network as well, Medium kinda feels like ezboard did back in the day in that you’re discovering these new publications on a regular basis because they facilitate that. 11:06 Patrick O’Keefe: ezboard to Medium, I like it. A lot of folks in the industry and in technology in general, we like to think everything’s being reinvented. [chuckle] But there’s correlations between the services we knew, used, loved in the ’90s to the services we know, use, love in 2016, 20 years later, so that’s really fun to make that correlation. 11:24 Andy McIlwain: Oh yeah, even look at IRC networks, it’s the same idea, right? Big IRC networks, whole bunch of different channels. 11:28 Patrick O’Keefe: Mm-hmm, exactly. And as I said, your background gaming forums before making the lead to GoDaddy, when you launched RedDead.net and PayneForums.com, communities for the Red Dead Redemption and Max Payne 3 video games respectively. One of the ways that you were able to grow was by engaging what I’ll refer to as the partnership model. You didn’t wanna do content, you wanted to do community. So you went out and you found sites that did content but didn’t have community. Talk about that. 11:55 Andy McIlwain: So, with Red Dead, that was an interesting one because at the time, I had spent a number of years working on gtaforums.com, which is a very, very big community for the Grand Theft Auto franchise from Rockstar games. And I wanted to see if I could take what I had learned from working on that forum and bring it over into something of my own. So, I just went out and got some hosting, grabbed a download of MyBB [chuckle] and installed that and spun up reddead.net. And then, one of my immediate first steps was to look at other places that I could partner with that were focusing on the things that I wasn’t focusing on. I gave the fan site content thing a try at the beginning, wasn’t really into it. But then I went and saw that the folks on the Wikia community were doing a great job of building up their content, and I saw that they had a forum that was a little bit neglected, so I just reached out. It was just a cold call essentially saying, “Hey, I’m building up this Red Dead Redemption forum. My experience is working on gtaforums.com. Do you wanna partner up? We’ll set you up with a bunch of forums on reddead.net and we’ll take care of the community management side of things, so you guys can focus on working on the Wikia.” They loved the idea, and Wikia ended up being one of our biggest sources of referral traffic early on, and then I did the same thing with GTAForums because I was a member of the network team there. 13:15 Andy McIlwain: I just asked around with some other admins and saw if they were cool with the idea of linking off to RedDead.net from the gaming forums. We had a very active Red Dead Redemption thread in the gaming forum, but we had no plans to go any deeper into the game ’cause we were GTAForums. So, they were cool with the idea, linked off, and that was another big boost for referral traffic. And then from that, just nurturing those early members who came in, listening to the suggestions, implementing the suggestions, really just hustling [chuckle] in the early days to build up the community paid off big time. I ended up handing off the forums later on, but it’s still coming along, it’s still going. 13:53 Patrick O’Keefe: Yeah, and it speaks to… You could say hustling, speaks to that mentality of not having a lot of resources that we talked about earlier, the idea that you have to figure out a way. When I was a teenager launching communities, I didn’t have a budget for PPC or for AdWords, or paid media as we call it. It was all earned before that term. It was all earned. We earned it all. 14:13 Andy McIlwain: You were doing this before there were terms for it. 15:13 Patrick O’Keefe: “We are forums when you click that link. And then we can make you content or we can just put your links here or images here. We can do a lot of things.” But it’s not a link exchange, it’s really far more valuable than that. 15:24 Patrick O’Keefe: And, you mentioned Wikia, man. They are so dominant in that gaming walkthrough stuff. 15:30 Patrick O’Keefe: They just kill everything. ‘Cause I play Call of Duty: Zombies with my brothers. That’s one of the things we do. We spend time together playing it. My youngest brother still lives near me but my middle brother lives in Atlanta now. And so, that’s one of the many ways we keep in touch. And when I look for those walkthroughs, I end up at Wikia every single time reading their walkthrough to figure out how to get through or how to unlock the latest zombie easter egg. So, yeah, but I’ve never used them for forums or looked at them in that light, so that’s why it makes sense. 15:58 Andy McIlwain: What I find really interesting too is that Wikia also shows the power of community in a different context. Where, you and I, we were building out forums and message boards, that was our thing, that’s what we were into. Wikia had this other massive community of contributors who were really interested in pulling knowledge and pulling information together in the form of content. And coming from doing fan sites where we had one or two contributors working on putting stuff together, you cannot compete with a community once it starts pulling its resources. There’s no way to do it. [chuckle] So, I kinda gave up on doing the fan site thing at that point because I saw the power of community embodied and the spin up of Wikia and the spin up of those fan communities that were coming up on that network. 16:42 Patrick O’Keefe: I am a big fan of programs that put your people, meaning your company’s people, in communities you don’t own or have any authority over. In fact, I talked about this just two weeks ago on the show with Ted Sindzinski, how is GoDaddy empowering their employees to do this? 17:01 Andy McIlwain: So I’m paraphrasing here because my colleague, Shawn Pfunder, puts it much better than I can. But the way I look at it is if a community is a network of people, then you look at the employee base. So the people that make up GoDaddy, there are many different interests and hobbies and activities in different communities that everyone is tied into. So, rather than just going out and saying, “Hey, GoDaddy” all the time, why can’t we go and celebrate the people that make GoDaddy what it is? And help them become more prominent in their own communities if that’s what their interested in doing. If someone has a deep interest in, I don’t know, craft brewing, how can we help them become more successful and give back to that community through our support? Because then at the end of the day, even if that person leaves the organization, we’re still maintaining a relationship with them. It just goes from someone who works at GoDaddy, being in that community, to someone who has a relationship with GoDaddy being in that community. And at the end of the day, our whole mandate is to help independent ventures succeed. So, that gives us a lot of freedom in supporting people that wanna go and chase their dreams, doing their own thing. So, I think that’s kind of it in a nutshell. And it’ll take on different forms depending on who the individual is and what they’re trying to do. But we wanna be there to help them achieve that. 18:21 Patrick O’Keefe: Very cool. So, what resources is GoDaddy providing to help them build a presence in these third-party communities? 18:28 Andy McIlwain: Well, I think it depends on the type of community and the type of stuff that the individual wants to do. So, maybe if they want to build up more of a reputation around a certain space or industry, we can help connect them with the type of content they can put out there through social media. So maybe it’s helping them boost their social media presence by connecting them with helpful content and helping them streamline the process of getting that content out there and being a curator. If they want to support local initiatives in their own community, it might be something like sponsoring or supporting a local event or a local community program. So it really depends on the context of the individual and what they wanna do, but there are many different options internally for our folks to tap into. 19:14 Patrick O’Keefe: Now, when they’re doing this, can they do it on company time or is it on their own free time? 19:18 Andy McIlwain: I believe you can do both. I don’t wanna say, “Quote me on that”, because I have to double check, but I believe it’s with both. I believe we have programs in place to help employees who want to, let’s say, throw volunteer time at something and they can do that on business hours. 19:39 Patrick O’Keefe: I thought of the perfect example, look at that! 19:41 Andy McIlwain: That is a perfect example. 19:44 Andy McIlwain: We do have developers that contribute to WordPress Core. 19:46 Patrick O’Keefe: Yeah, I thought you might. And we mentioned Brad before, that’s something they believe in strongly at WebDevStudios.com. They have their… They used to be the first two hours of every week for all employees and I think they just changed it to the last Friday of every month, is spend… The whole company, 34 at my last count, employees spends that day contributing to WordPress in some way. It could be Core, could be documentation, could be posting the forums, but it’s really important in the WordPress community to give back. 20:14 Patrick O’Keefe: Earlier this year GoDaddy launched an online community which you can see at godaddy.com/community. It’s not strictly for support. It’s also for small business owners, web designers, and web developers to discuss issues related to the business they conduct on the web. GoDaddy has this really large customer base. How did you decide who to invite to be a part of that initial group to help soft-launch the community? 20:35 Andy McIlwain: So at the start, we put some guidelines in place for who we wanted to bring in and one of the first big ones was a geographic focus. We knew that we wanted to focus on folks who were in the United States and we got some Canadians slipping in as well because, hey, that’s what we do. [chuckle] That was the first big part. And then the second big part, at least on the side that I was focused on, was looking at folks who were active in our Pro program and looking at folks who seemed like they would be more inclined to participate in a program like this. 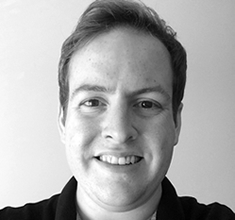 21:08 Andy McIlwain: In the early stages of any sort of community launch, there’s always a bit of a rough patch, especially when you’re spinning up new technology and just getting things in place and making sure everything works. So we wanted to bring in people who would not look at this as an obligation or some sort of burden, but as something that they were interested in doing. So, it was a lot of one-on-one outreach in the beginning. Looking through internal sources, finding customers who we thought would be a good match, doing a personal one-on-one email outreach and inviting them to join us if they were interested. And then from that, going through video conferences, walking them though the software as it was getting ready, and really just hand-holding them through the onboarding process. And then once their actual forums got up and running, being there on a regular basis, to listen to the feedback, help troubleshoot things, and just be very consultative and supportive in those early days before everything launched openly in the spring. 22:04 Patrick O’Keefe: When you say that you were looking for certain people, on a community like this, there’ll be less difficulty finding people to ask questions. There’s always more difficulty finding people to answer them. So were you looking for people who would have certain areas of knowledge that you wanted to bring into the community, hoping that they would share that knowledge and help other people, or where was the emphasis placed? 22:24 Andy McIlwain: So, I actually tapped into my own experience of basically what I do when I want to get involved with a new community, and that’s to go in and just be as helpful as possible and use that as a way to build credibility and add value to the community. So I thought “Well, you look at the GoDaddy Pro program and we have all these designers and developers who have all said that one of their biggest problems is marketing themselves and finding clients and doing that sort of thing. And I saw this opportunity to connect them with the small businesses who were coming into the community looking for help.” And I thought, “Well, what can we do to support these pros who want to find clients and promote themselves, while at the same time supporting the small businesses?” And the connection is fairly obvious. If we can make it easy for pros to go in and answer questions that they’re able to answer, so things addressing topics that they’re knowledgeable about, while also at the same time helping them boost their own visibility. The byproduct of that is that we’re helping the small business and we’re helping them address technical issues, even if it’s not GoDaddy doing it. 23:40 Patrick O’Keefe: And that could be designers, programmers, SEO, right? 23:45 Andy McIlwain: Oh yeah, anything. Whatever you feel knowledgeable about, that’s what you should go and talk about. Would never say to somebody who is really uncomfortable talking about PHP development to go and answer PHP questions. 23:58 Patrick O’Keefe: Yeah, I wouldn’t do it, for example. You wouldn’t want me to answer those questions. 24:26 Patrick O’Keefe: Have you run across any uneasiness on either side, on the GoDaddy internal side, on the outside member perspective, with the fact that GoDaddy does do website design, right? They have a section on the website, it’s… You can hire an expert, you can hire a design expert, you can get a logo design, you can hire them to do SEO. They offer these online marketing services. Is there any uneasiness on either side that… We’re competing with one another, or they’re competing with us? 24:50 Andy McIlwain: No, I think that, especially when it comes to web design development, that the opportunity is so vast, it’s a very big ocean. And there are many different ways to tackle that problem. And some people will gravitate towards working with a designer or developer that they can build a relationship with and sustain that relationship over a long time, others may want to get something done very quickly and efficiently, and they may prefer to go through our professional web service and get a website built up that way. Yeah, I don’t see it as a competition thing and it’s the same philosophy we have locally with the Toronto WordPress Group. A lot of our organizers are technically competitors. We’re all going after these small business-based… We’re competing for the same clients. But it makes more sense to pool our resources and work together because there are enough people out there that need to get online and need to get a website built or get work done that we can all share the pie. [chuckle] We’re not gonna run out. 26:42 Andy McIlwain: Well that’s great. 26:42 Patrick O’Keefe: I continued that relationship. When I wanted to do Community Signal, I was like, “Well, I know I wanna work with Karn again.” And so, that totally makes sense to me. How is GoDaddy working the community and community content into other maybe larger areas of the business, support and education comes to mind, but maybe there are others? 27:00 Andy McIlwain: So there’s a few things you can actually see right now if you go to godaddy.com. So, if you go to our blog, to godaddy.com/garage, one of my favorite things to work on as a content manager are customer stories. And a lot of those customer stories are hearing how people got to where they are. And a lot of those come through the community, finding people in the community who are active and contributing, and we wanna know more about them and what their story is. And on other side, on the support side, if you go into godaddy.com/help, you’ll find community content getting pulled up into our help search results. So discussions are being pulled in as part of the resources that you would find if you’re trying to troubleshoot something, or set up your domain name, or what have you. So we’re looking at different ways to use the content and community discussions being part of that, and pull that into other places where it makes sense throughout the site, and then throughout the products as well. 27:54 Patrick O’Keefe: That’s really cool. I actually went to godaddy.com/help, and searched for AdWords just ’cause we mentioned it earlier, and there it is, community content right in the results. So that’s really great to see and I really look forward to seeing what GoDaddy continues to do with community and the work that you and Chris Carfi, and everyone else working on community over there continue to do. So, thank you so much for coming on the show. 28:12 Andy McIlwain: Thanks for having me. 28:13 Patrick O’Keefe: We have been talking with Andy McIlwain of GoDaddy, follow him on Twitter @andymci and read his blog at andymci.com. To check out the GoDaddy Pro program, visit godaddy.com/pro. You can find the GoDaddy customer community at godaddy.com/community. If you have any questions that you’d like me to answer on the air, please submit them at communitysignal.com/qa. For the transcript from this episode, plus highlights and links that we mentioned, please visit communitysignal.com. Community Signal is produced by, once again, Karn Broad, and we’ll be back next week. 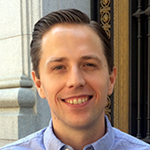 Pingback: How Do You Become A Community Manager?